SHINee‘s Minho recently returned to his homeland after spending a week in the glorious United States for New York Fashion Week. 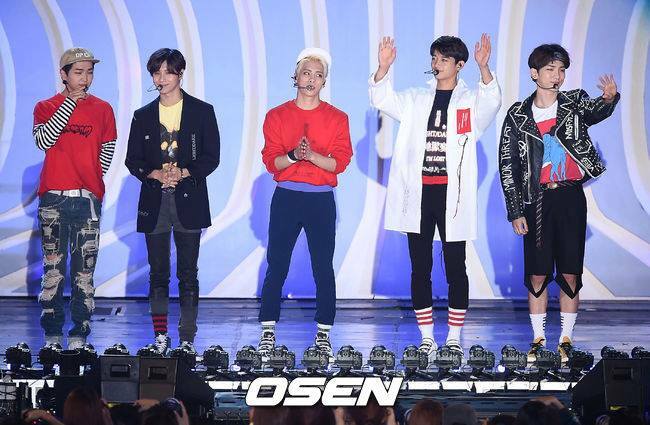 Upon his return, SHINee made an appearance at the Hallyu Dream Festival and performed catchy tunes like their hit single”View”. My boys always maintain their fashion kings status with styles only celebrities could get away with. 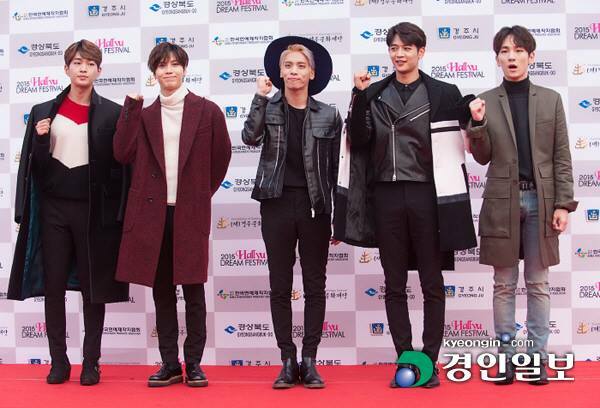 I always love pieces SHINee wears for certain events… I think every ShaWol would want a chance to mix and match their adorable stage and red carpet outfits. Jonghyun and Taemin’s ensembles below are definitely my favorites! All rights to the images belongs to Osen and Kyeongin. This entry was posted in Entertainment, Music, News and tagged シャイニー, 샤이니, SHINee. Bookmark the permalink.